Following construction or renovation, a lot of mess is left behind- dust everywhere, stained windows, rubbles on your path, dirty walls etc. This can be too much for you to handle. Plus, it can pose a significant health and safety risk for the untrained and occupants or would-be occupants of the building. Luckily with Warrington most reliable after builders cleaning service it shouldn’t be a fuss. Be at home with a top-notch cleaning company that uses the latest approach to cleaning aided by powerful cleaning tools handled by well trained, certified and skilled specialists to make your property truly your dream paradise again. We will ensure your property sparkles just like you desire. That’s why we are meticulous on each project- no detail is overlooked, every surface and affected part of your building will get the desired attention. For the living room and bedroom; wardrobes, cupboards, frames, decors, furniture, floors and other items will be cleaned and scrubbed to remove dusts and stains. Our experts are aware that some items are delicate and thus handled as such to ensure none of your belonging gets damaged in the cleaning process. For your bathroom, we work to make your bathroom a place you look forward to be- fresh, sparkling and sweet smelling with glittering countertops and bathroom accessories. All the surfaces including the tub, cabinet, toilet bowls, wall, floors etc. are properly cleaned, descaled, disinfected, and polished as need be. The kitchen is a special place so it is handled by specialist that are experienced and skilled in using safe equipment, chemicals, and procedures to clean every aspect of your kitchen. These include cabinets in/out side, cupboards, countertops, refrigerator/freezer, dishwasher etc. 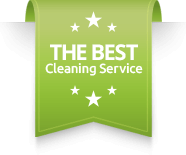 We will clean, scrub, mop, descale and do what is required to ensure the safety of your family. Windows, sills, doors, ledges, walls, ceiling, tiles, stairs, skating boards, electrical accessories, fixtures etc. are also cleaned to reveal their true beauty and value. Gladly, our service is not choosey- no building is too small or big for us to handle. From small apartments, to large estates, and even larger commercial properties or whatever is in-between, our services hold their own. Contact us now then go ahead and relax; enjoy the breath-taking spectacle that your building will become with a quality After Building Clean service serving Warrington and beyond.